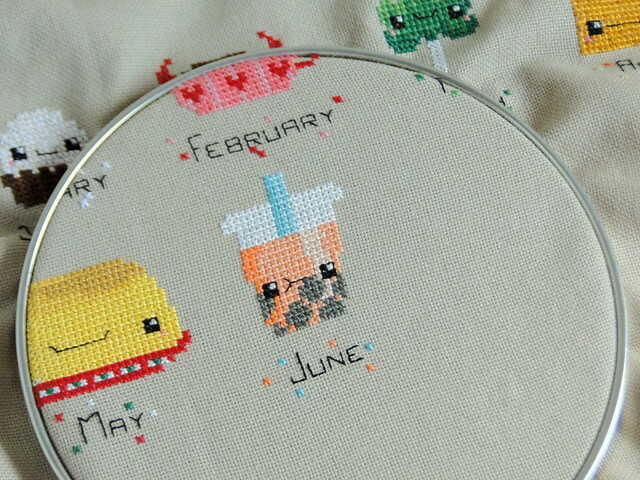 Finished June's dessert of the month pattern, still don't even know what bubble tea is! But, it's cute! My next big cross stitch project will be this noticeboard! I'm so excited about it, I can't wait to get started! I'm just trying to figure out what color I want the typewriter to be, I'm leaning towards coral or maybe green. Tomorrow's my birthday (29! ), so hopefully I'll be spending the day working on the typewriter! 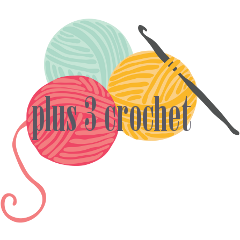 A day of cross stitching and crochet sounds like the perfect present for myself. oh yes the typewriter is gorgeous. I'm going to stitch that one too. oh, and happy birthday for tomorrow. I hope you get to do exactly what you want to. Love your cross stitching. Bubble tea is what the japanese make they are so yummy. It has bubbles on the bottom of the tea very squishy. Bubble tea is delicious! The "bubbles" are like giant tapioca pearls that have been soaking in tea. They're chewy and sort of gummy. Happy almost birthday! I'm looking forward to seeing that typewriter. It looks very cool. I love bubble tea! I haven't been drinking though since I fell pregnant cause I'm not 100% of the ingredients and if it's ok. Happy Birthday for tomorrow!!! Hope you have an awesome day. Happy happy birthday! Your x-sttich looks so great. I hope to get caught up on my desserts soon! Happy Birthday! The typewriter is on my to stitch list as well, although when I'll get to it is anyone's guess!